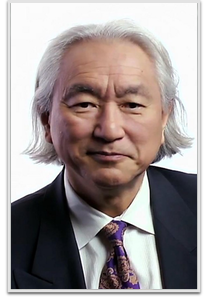 Michio Kaku is an American theoretical physicist, futurist, and popularizer of science. He is professor of theoretical physics in the City College of New York and CUNY Graduate Center. Kaku has written several books about physics and related topics, has made frequent appearances on radio, television, and film, and writes online blogs and articles. He has written three New York Times best sellers: Physics of the Impossible (2008), Physics of the Future (2011), and The Future of the Mind (2014). Kaku has hosted several TV specials for the BBC, the Discovery Channel, the History Channel, and the Science Channel.